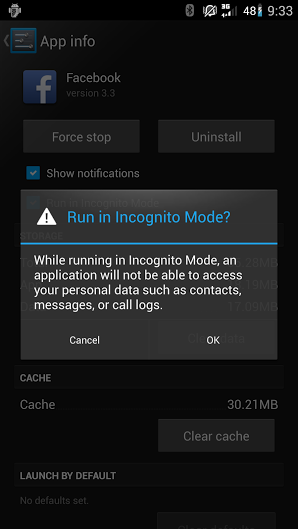 While running in Incognito Mode, an application will not be able to access your personal data such as contacts, messages, or call logs. 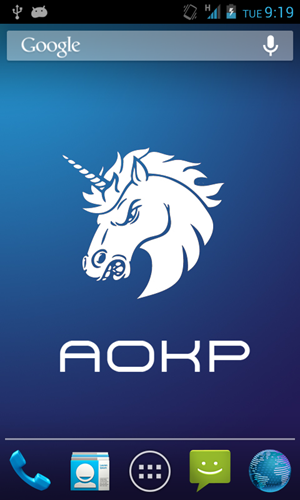 Return empty lists for contacts, calendar, browser history,and messages. GPS will appear to always be disabled to the running application. 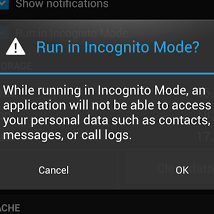 When an app is running incognito, a quick panel item is displayed in order to turn it off easily. No fine-grained permissions controls as you saw in CM7. It’s a single option available under application details.